Hi there and greetings from sunny Helsinki! The spring is finally here after long winter, which means that is also time to start with the new schedule for Free Walking Tour Helsinki! The winter has been long, and we at Green Cap Tours have been running tours through the whole year for few times a week. Summer is the high season here, like most places in Europe, and we are more than ready to receive the world in Helsinki during the following summer! Check out here why you should join with us to Free Walking Tour Helsinki! During the winter season, we have been running Free Walking Tours on Wednesdays, Fridays and Saturdays. We also ran tours in mid-January, when it was 19′ Celcius below zero and a freezy ocean wind blowing. We think that the guides and the customers who participated really deserve a big applause here. Everyone survived! But now it’s time to look for the upcoming high-season! From the beginning of May until the end of September, we will be running Free Walking Tours everyday (Monday to Sunday) at 11AM. The tour starts from the Senate Square, the iconic postcard place of the city. Our guides are professionals and most importantly, locals! They will passionately share their knowledge of historical facts, culture and everyday life in Helsinki. Our guides can also give you great insights of other things to explore in Helsinki. You can read more about our guides here. 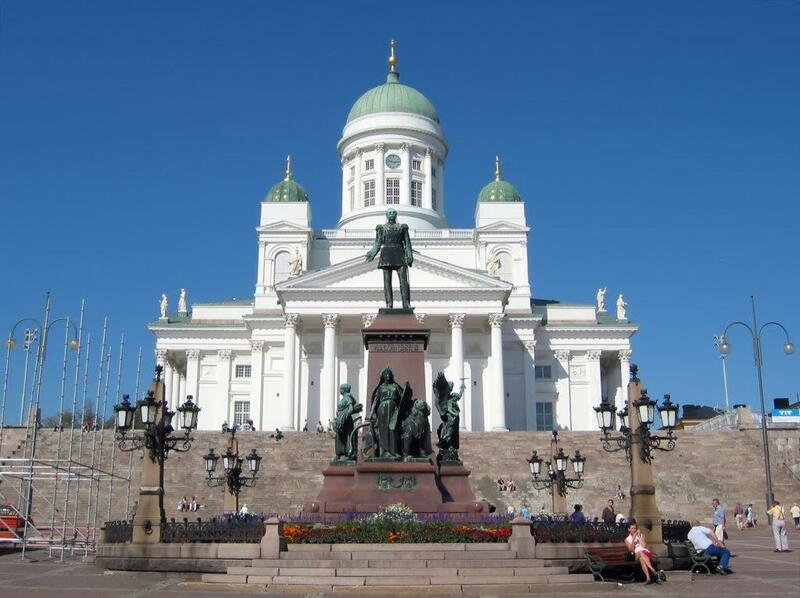 The tour takes approximately two hours, leading you through the most important sights of the Finnish capital. The tours are held in English and Spanish, but in case you’re looking for a private tour, Green Cap Tours guides speak at least 10 different languages in total! Just let us know your preference, and we can surely work it out! The Senate Square, Helsinki Cathedral, the Bank of Finland, Uspenski Cathedral, the Market Square, Esplanadi Park, the Old Market Hall, the University Library, Helsinki City Library Oodi and the Design District among others! Helsinki is very walkable city, everything is relatively nearby. Even though you don’t necessarily have many days to spend in the city, it’s possible to have an idea of Helsinki in just some hours! To join to one of our Free Walking Tours, it’s recommendable to make a reservation through Green Cap Tours website. This will not only confirm your place, but allows us to plan how many guides we need to prepare for each day. Of course we understand that sometimes plans happen quickly. In this case, feel free to show up at the meeting point at 11 and you’ll be able to join the tours. Free Walking Tour is a type of tourism has been very revolutionary around Europe. There’s no fix price for the experience, but everyone can collaborate after the tour with the amount that they think the guide deserves. Green Cap Tours has more than 400 reviews of Tripadvisor, so check out here what other travellers thought about the tour with us. Also remember to take a look on our social media channels on Facebook and Instagram.